The Magnum Peak is the latest electric trail bike from one of America’s leading e-bike brands. Offering outstanding value for money, the Peak brings 48V of power to conquer any hill, whether on or offroad. 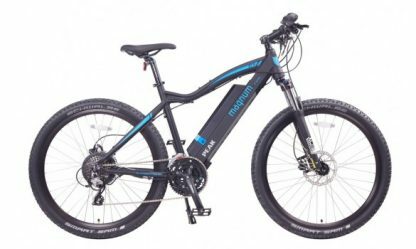 With a lockout fork, hydraulic disc brakes and a huge 624wh battery the Peak is packed with features normally found only on more expensive bikes.